I love to sing the National Anthem. I know it has a crazy melody and if you start too high you are in a ton of trouble…but I love it anyway. It’s such an interesting anthem. 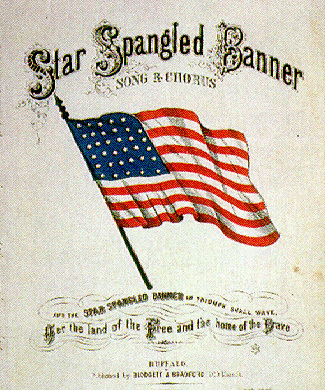 I remember singing the Star Spangled Banner once a month at church. But what I really like, and I wish more people knew about, is the fact that there are four verses with the fourth verse to the National Anthem as my favorite. Every time we sang that last verse it was emotional because it is so true. So many have fought for our country and sacrificed greatly so that we may celebrate living in the United States of America. What an honor to be an American. And what an honor to live in one nation, under God.